Kari Russo is the director of First Counseling Center and holds a dual license as a Mental Health Counselor and Marriage and Family Therapist. 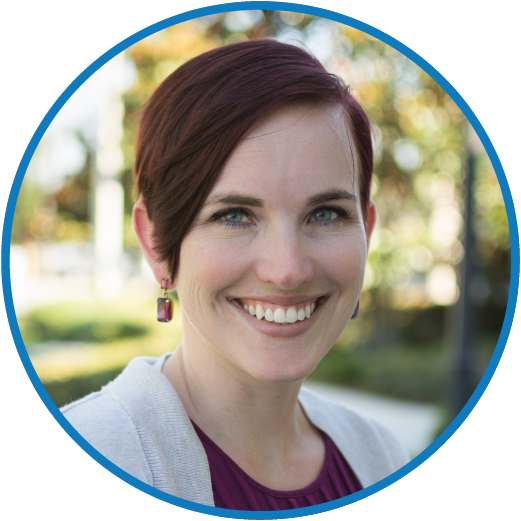 She is a certified in the Reconsolidation of Traumatic Memories (RTM), and is also an Accelerated Resolution Therapy (ART) Trainer, Master ART Clinician, and Trust Based Relational Intervention (TBRI) Practitioner. She is also trained in: Eye Movement Desensitization Reprocessing (EMDR) , Cognitive Behavioral Therapy(CBT), and Emotion Focused Therapy (EFT). She feels blessed to have witnessed healing and genuine life change in people from many walks of life. Kari and her counseling team often work with pastors, community leaders, military, first responders and their families. She helps people with: stress and time management, relationship enhancement, attention deficit, anxiety, obsessive thinking, trauma, and depression. Kari has provided consulting, mental health counseling, and family therapy for over 25 years. She and her husband enjoy spending time with their four children and daughter in law who range in ages from 10 to 25. More information. Holly has been a Licensed Mental Health Counselor since 2008 and worked at First Counseling for over 10 years. Her primary areas of focus are anxiety, depression, healing from past traumas including sexual abuse, self esteem, and relationship counseling. Holly has an eclectic style of counseling that is very relational. Her sessions are conversational as she seeks to bring the client to a place of ease and trust as they walk into some of their darker and more painful places. Her approach is typically a slower-paced one in the hopes that the therapy works in deep places and has a lasting affect in the life of the client. More information. CJ is a Licensed Marriage and Family Therapist who is trained in EMDR. His approach to counseling is based on the integration of professional psychological training and the spiritual understanding he’s gained through both theological education and personal experience. CJ helps others walk through their journey of change, growth, transformation and freedom. In his experience as both a client and a therapist, he has learned that facing where we have been and what we’ve lived through helps us understand our present. Cyndi is a Licensed Mental Health Counselor as well as a Clinical Supervisor working with counseling students and interns throughout their training. Coupled with the unique perspective that comes from having served for 12 years in active military service, her relaxed and relational approach to counseling provides a safe atmosphere for moving effectively through struggles and wounds. Cyndi specializes in Anxiety, Depression, Trauma, Marriage and Family Counseling, Relationship issues, Life Changes, as well as Divorce Recovery, and Military. She is also certified in Reconsolidation of Traumatic Memories (RTM). Cyndi's main goal when working with a client is to help them to find understanding and healing–to help people who have experienced painful life circumstances heal and grow. For more information, visit psychologytoday.com. Jim is a Licensed Marriage and Family Therapist. He is also a commercially published author of relationship, marriage, and parenting resources. His warm, compassionate style of therapy is based on the truth that connection through loving-kindness is the dynamic that leads to radical life change and to living one's best life. Jim is trained in EMDR (Eye Movement Desensitization and Reprocessing), A.R.T. (Accelerated Resolution Therapy), EFT (Emotion Focused Therapy), has completed Level 2 training in Gottman Method Couples Therapy, and is a certified in Prepare/Enrich and SYMBIS facilitator (pre-marriage counseling). He offers Individual, Couple, Marriage, Family, and Premarital Counseling, and focuses on these areas: Connection, Relationship Issues, Infidelity, Sexual, Physical, or Emotional Abuse, Trauma, Anxiety, Anger Management, Grief Care, Divorce Care, Depression, Parenting Issues, Young Adult Life Direction and Launch, Life Change Issues, Addiction, Codependency, and more. Jim has also served as a student/ family, and college pastor. Cesar is a Registered Marriage and Family Therapist Intern who offers therapy in English and Spanish for couples and individuals. His personal and professional experience has prepared him for working with couples who can't seem to communicate, have grown apart, or are struggling to move forward after major life events and trauma (including affairs). He is prepared to help individuals who are struggling with anxieties, trauma (sexual, physical, emotional), life changes, depression, and relational difficulties. Cesar’s approach is very client-centered, not looking at people as a collection of behaviors, but as humans seeking to be loved, bringing with them a collection of hidden stories of pain and unmet needs. He wants to help you uncover and unload the weight you have been carrying, so that you can heal and find meaningful connections. Cesar is trained in Eye Movement Desensitization Reprocessing (EMDR), Accelerated Resolution Therapy (ART), and certified in the State of Florida to provide Hypnotherapy. He has been a church planter and associate pastor and has served in youth, as well as college ministries. For more information, visit psychologytoday.com. Cristina is a Licensed Mental Health Counselor who is well versed in a variety of issues such as anxiety, depression, divorce, grief, trauma (both childhood and adult onset), self-esteem, career counseling, premarital counseling, and play therapy with children. Cristina is very client centered, ensuring the client feels comfortable with the process at first. It is not uncommon for her to use the body (somatic work), guided imagery for relaxation in session, and perhaps what some may call non-traditional approaches (like role plays, music, dance and art) when possible. Cristina has also worked in church ministry for sometime and has seen that spiritual wisdom needs to be combined with practical skills. Both are a gift from God to be utilized in balance with one another. For more information, visit psychologytoday.com, or go to her website: www.cristinaally.com. Tanya is a Licensed Marriage and Family Therapist with the State of Florida. Tanya has received additional training in the following therapeutic techniques: Eye Movement Desensitization and Reprocessing (EMDR), Accelerated Resolution Therapy (A.R.T. ), Gottman Method, Emotionally Focused Couples Therapy, and Trust-Based Relational Intervention (TBRI). She also is an active member of the American Association of Marriage and Family Therapy. Tanya's belief is that each individual possesses the solutions to their problems and that her role as the therapist is to guide and support them on their journey towards living an abundant life. For more information, visit psychologytoday.com. Chris is a Registered Mental Health Counselor Intern who specializes in helping clients overcome Panic Attacks, Codependency, Depression, Addiction Issues, PTSD, Spiritual Issues, Low Self Esteem, and Family/Relationship Struggles. He works skillfully and compassionately to help you find a path forward to peace, strength, and joy. His approach to counseling is primarily informed by Family Systems Theory that emphasizes a holistic perspective on wellness. Chris is trained in Eye Movement Desensitization Reprocessing (EMDR) and Accelerated Resolution Therapy (ART). He works with Preteens, Teens, and Adults and offers sliding scale rates. Before becoming a Counselor Chris worked as a business manager, served as a youth and college ministry leader, and coordinated worship and production at church plants in Windermere, Winter Garden, and Metrowest. He loves to spend time outdoors with his wife, son, and two dogs. For more information, visit psychologytoday.com. Paula is a Marriage and Family Therapist Intern who offers therapy in English and Spanish. She works with relationships, whether you are going through a break-up, divorce, choosing the right person for you, premarital counseling, marital counseling, couple's counseling, infidelity, the aftermath of infidelity, restoring marriages, family counseling, boundaries in relationships and choosing safe people. She also works with females with trauma in youth, sexual abuse, and verbal abuse to work together for a better you. If you are willing to do the work to get better, you can work hand in hand with Paula to improve relationships. She is well versed in EFT, Emotional Focused Therapy, and believes in attachments and the importance of supportive people in our lives. She is trained in EMDR, Eye Movement Desensitization and Reprocessing Therapy, and ART, Accelerated Resolution Therapy for Trauma. For more information, visit psychologytoday.com.